"For clinical trial sponsors and clinical supply vendors with research in the United Kingdom (UK) and/or the European Union (EU), changes are coming. 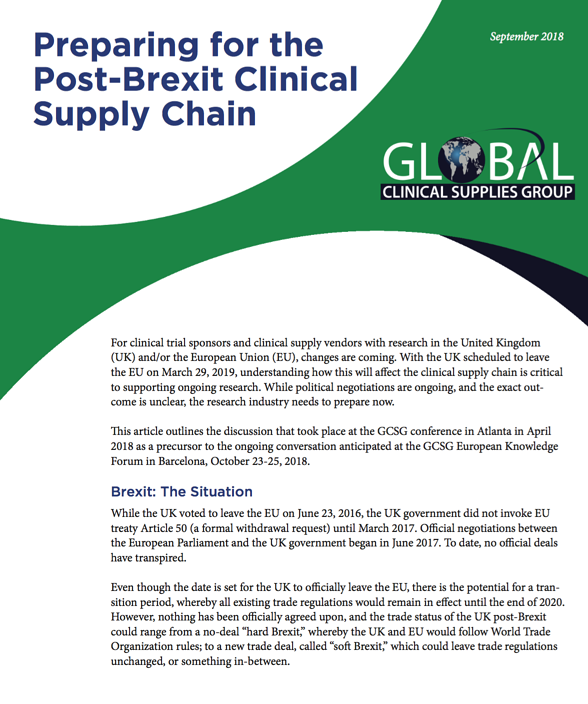 With the UK scheduled to leave the EU on March 29, 2019, understanding how this will affect the clinical supply chain is critical to supporting ongoing research. While political negotiations are ongoing, and the exact outcome is unclear, the research industry needs to prepare now." Please click below for your complimentary copy.